The bride and groom might want you to leave your camera at home on their special day. Unplugged weddings are becoming increasingly popular as more couples ask guests to ditch all technology during their ceremonies and receptions. According to Pinterest’s 2016 Wedding Trends Report, searches for unplugged weddings have seen a 600% increase this year. Some want to remind their friends and families to live in the moment. Look everyone, no cell phones and everyone looks so happy! Others want to avoid photography fails. I can't stress enough the importance of asking your guests to participate with you in an "Unplugged Wedding" without phones, disposable cameras and iPads!! You have invested in a professional wedding photographer for a reason. I promise we know what we we doing and won't miss a beat of your best day ever! Encourage guests to be completely present with you throughout the whole ceremony and share in your special day without their nose behind an electronic device!! The End. Wedding photographers celebrate the new trend, as they say guests have a tendency to ruin their professional photos while trying to snap iPhone pictures. 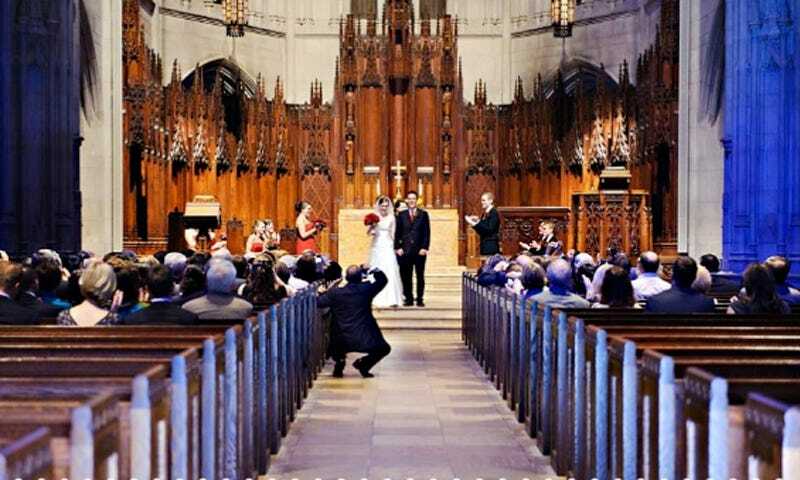 Too often people stand in the aisle of a church to get a good angle, hold up a cell phone during the first dance, or wash out the bride with a camera flash. These disruptions don’t allow photographers to capture special moments of the couple’s day. If you’re invited to an unplugged wedding, respect the couple’s wishes. You might even find you enjoy the day more by not watching it through a three-by-five screen.